18/10 Stainless steel polished exterior and matte interior for easy cleaning. The rounded bottom edges make cleaning easy. Clear tempered glass lid so you can see "what's cooking". Tri-ply (encapsulated) construction on the base with 5 mm Aluminum insert to provide better heat transfer and no hot spots. 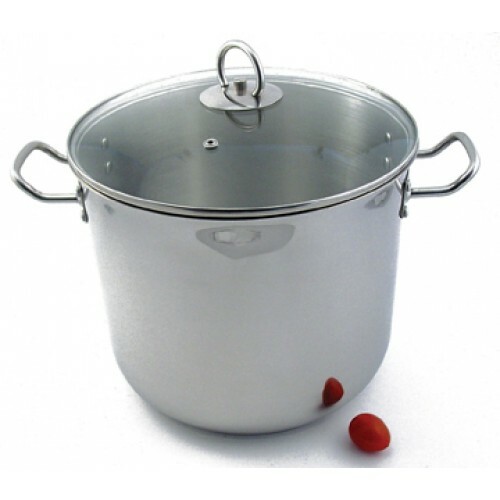 Click the button below to add the Stock Pot Single ply body Glass Lid 24 qt to your wish list.